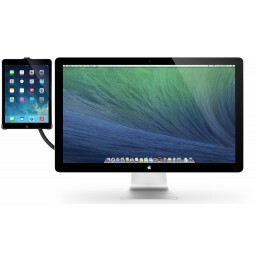 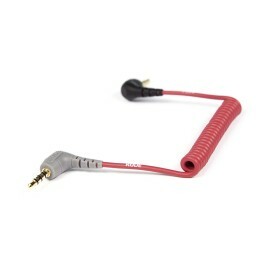 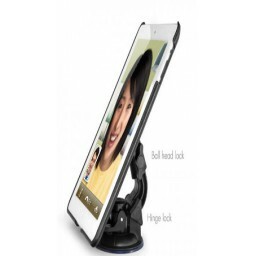 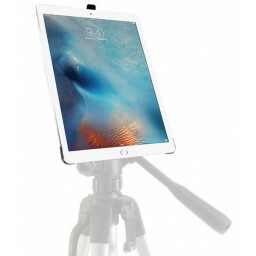 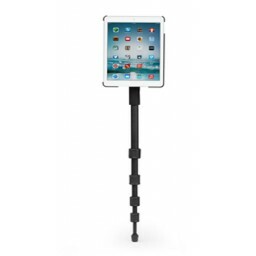 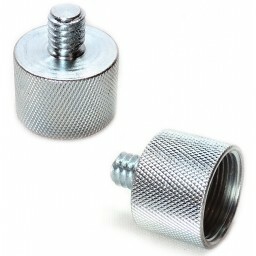 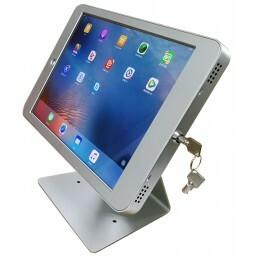 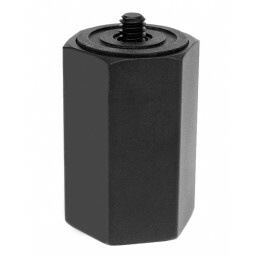 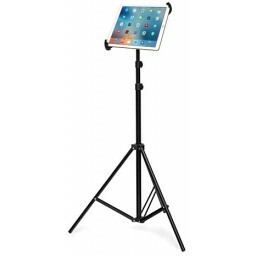 Secure your iPad Pro 12.9 11 10.5 9.7, iPad Air, iPad 1 2 3 4 5 6, Microsoft Surface Pro 1234, Samsung Galaxy, Sony, Google Nexus or any Other 8-13 inch Tablets to any Microphone Stand or Music Stand you already use. 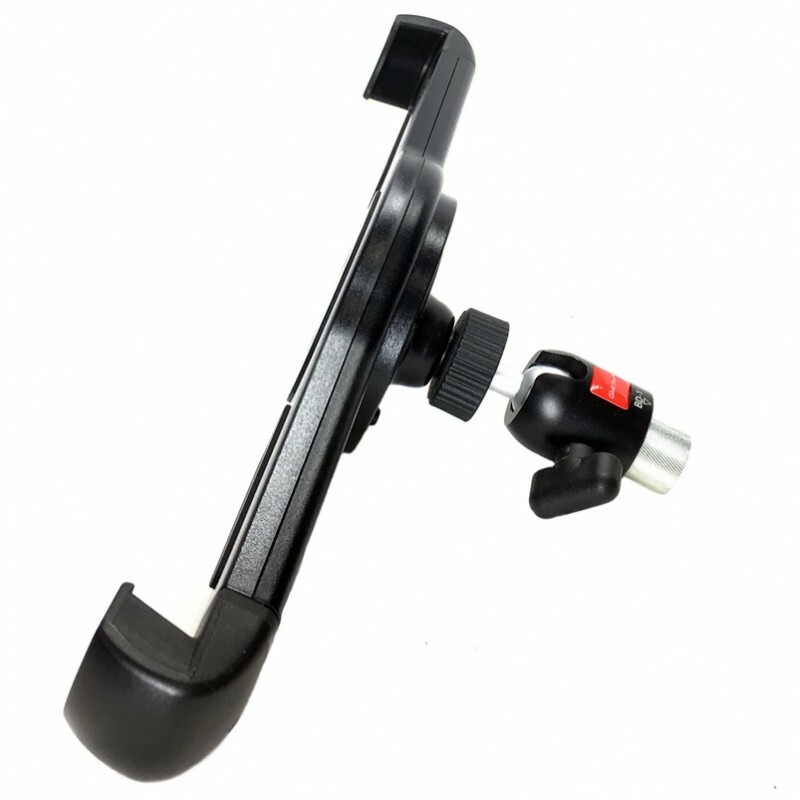 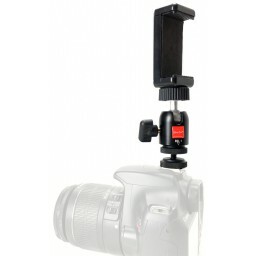 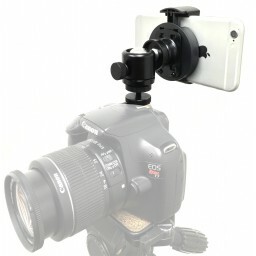 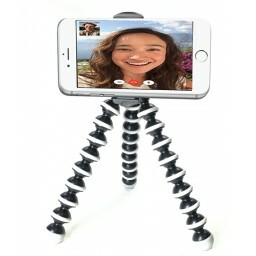 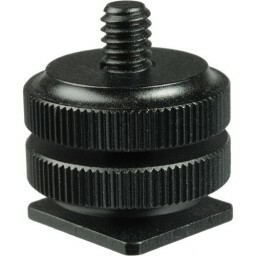 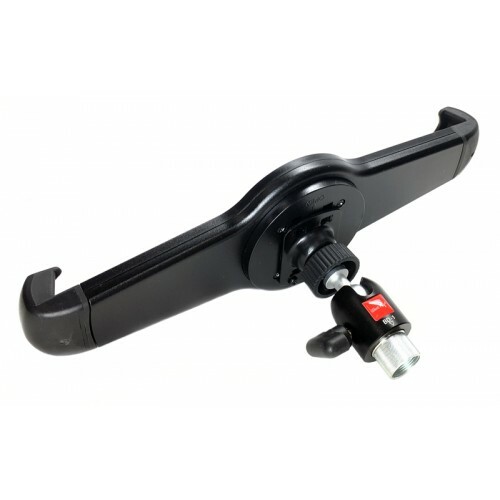 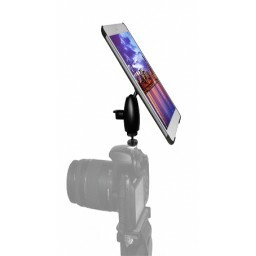 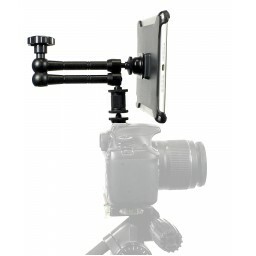 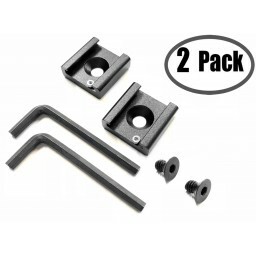 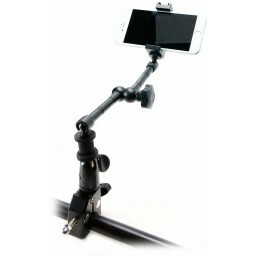 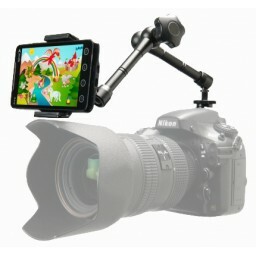 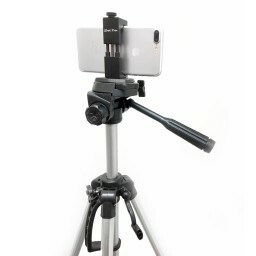 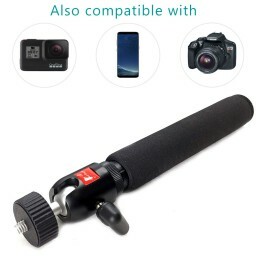 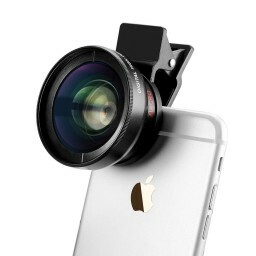 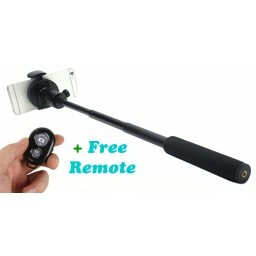 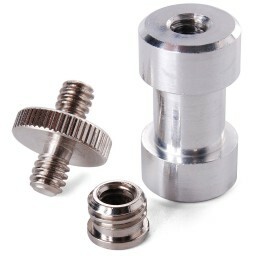 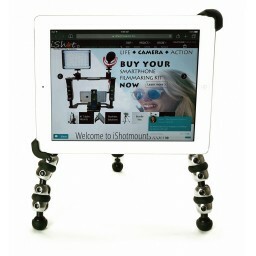 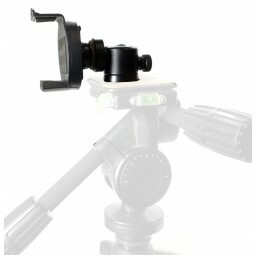 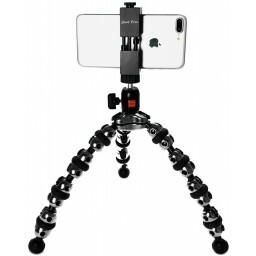 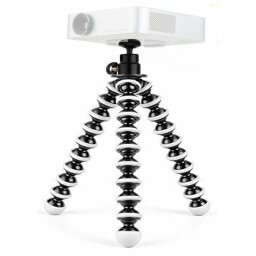 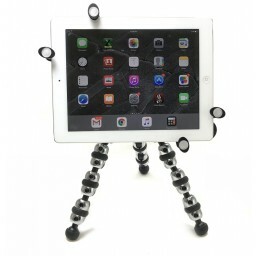 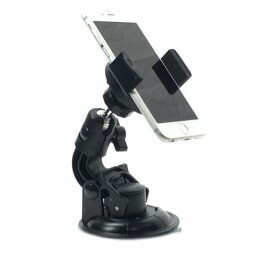 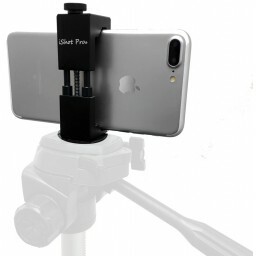 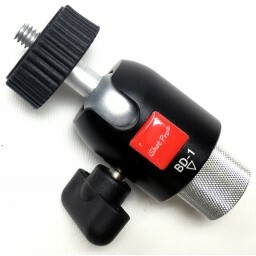 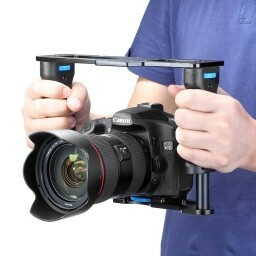 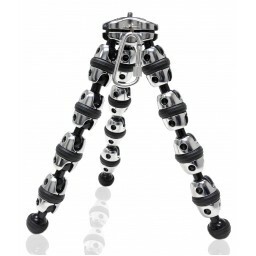 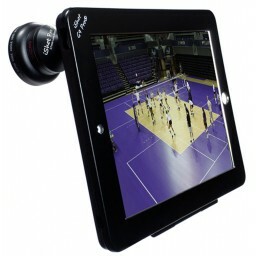 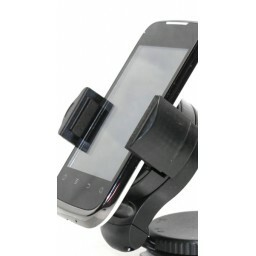 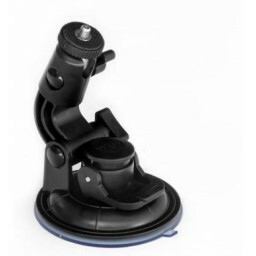 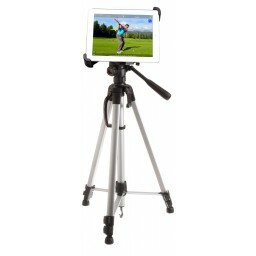 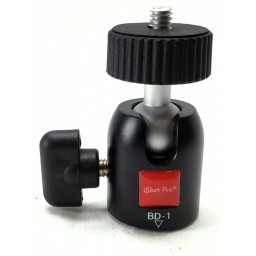 And also mount it to ANY Camera Tripod, Mono-pod or Other Camera photography accessory you already use with our iShot G10 Pro Large iPad Universal Tablet Tripod Mount Holder with Ball head and Mic Music Stand Adapter Bushing. 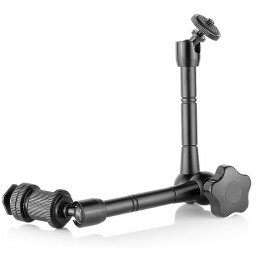 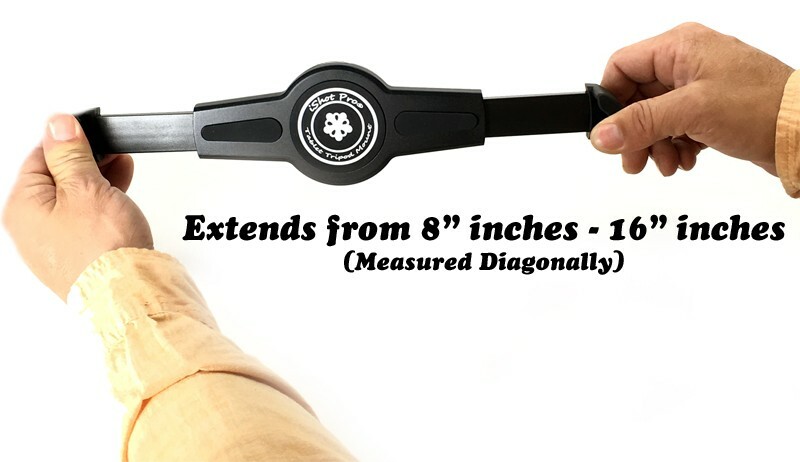 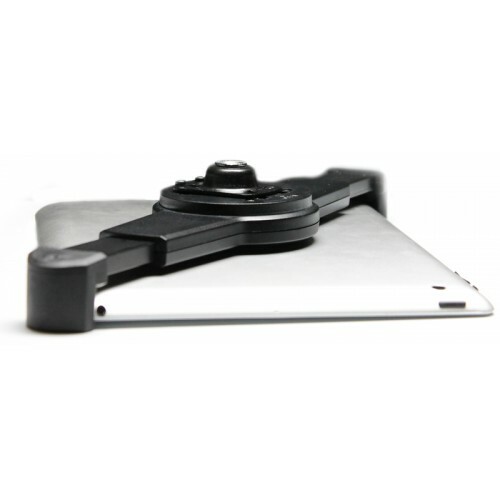 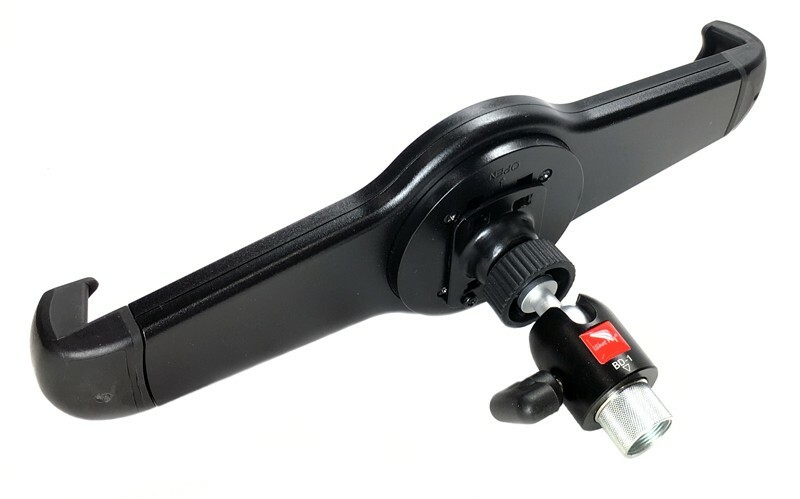 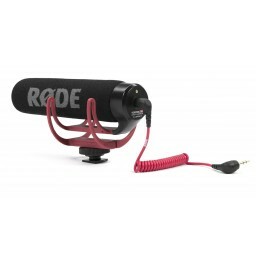 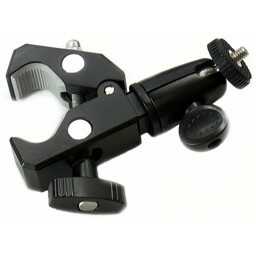 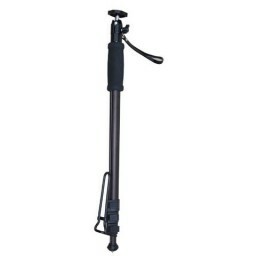 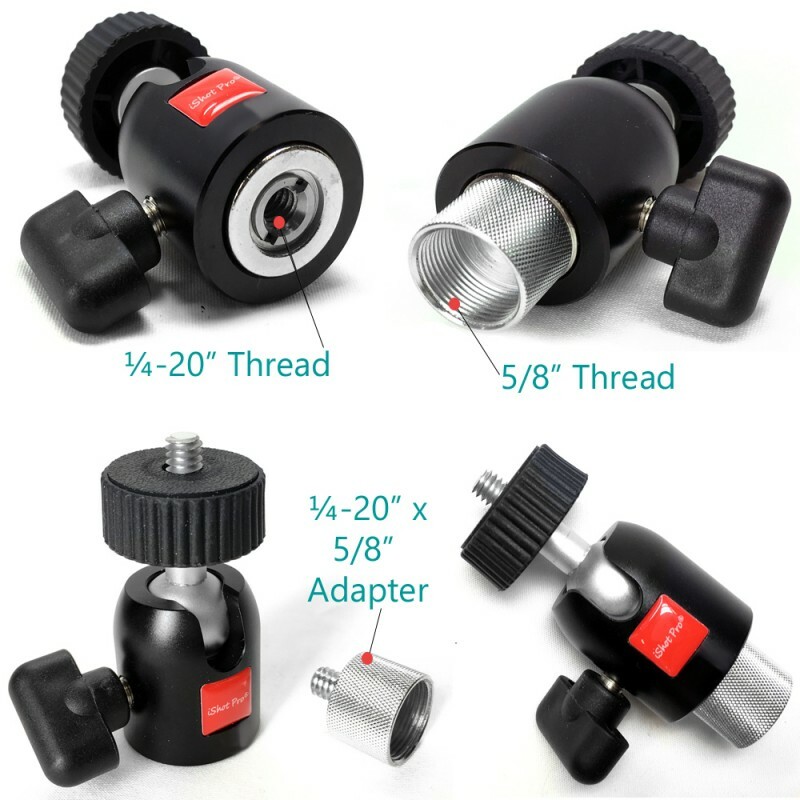 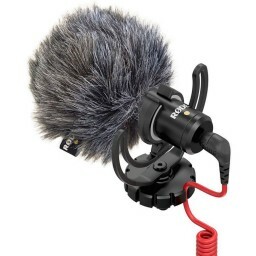 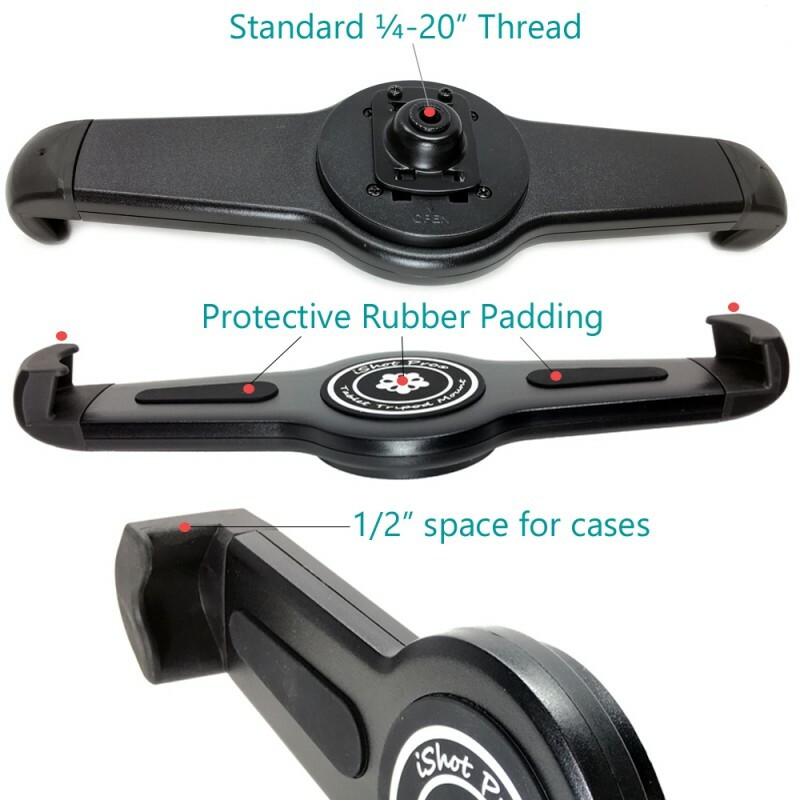 Powerful Spring Loaded arms securely grab your tablet with or without a case, positioning your tablet exactly where you want it to stay on your mic or music stand. 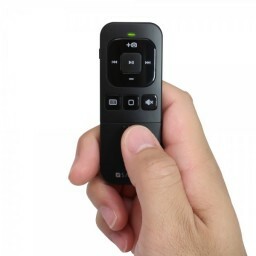 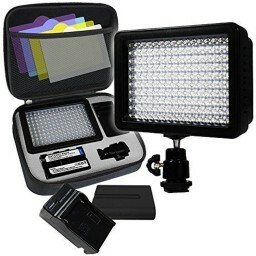 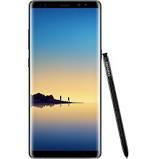 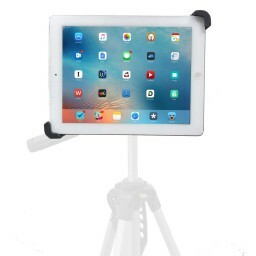 Great for while you read sheet music, tab music, pay along with youtube videos, record yourself, film band videos, family photos, wedding photo booths, golf swings, coaches, athletes, tennis, real estate agents, businesses, YouTube videos and more! 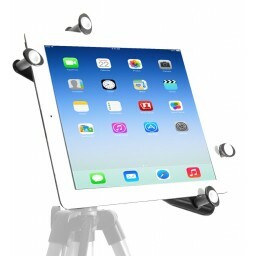 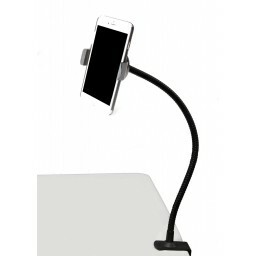 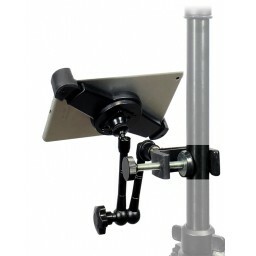 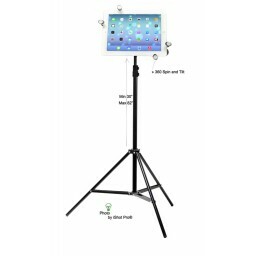 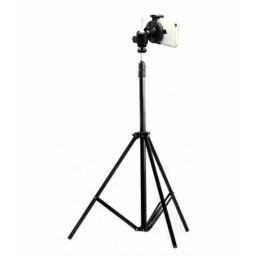 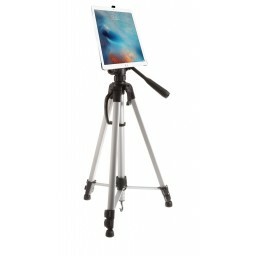 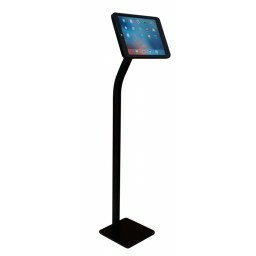 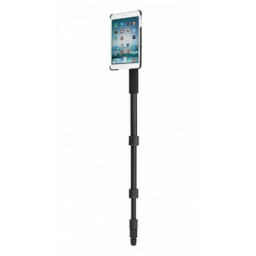 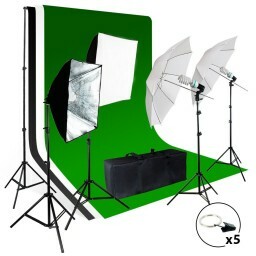 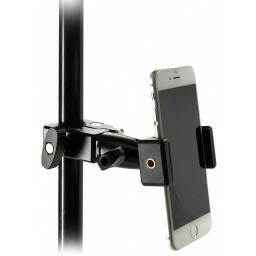 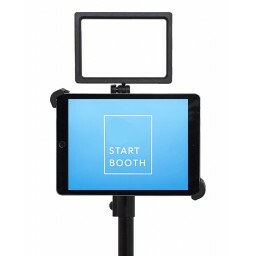 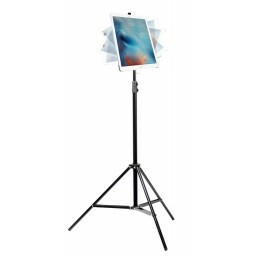 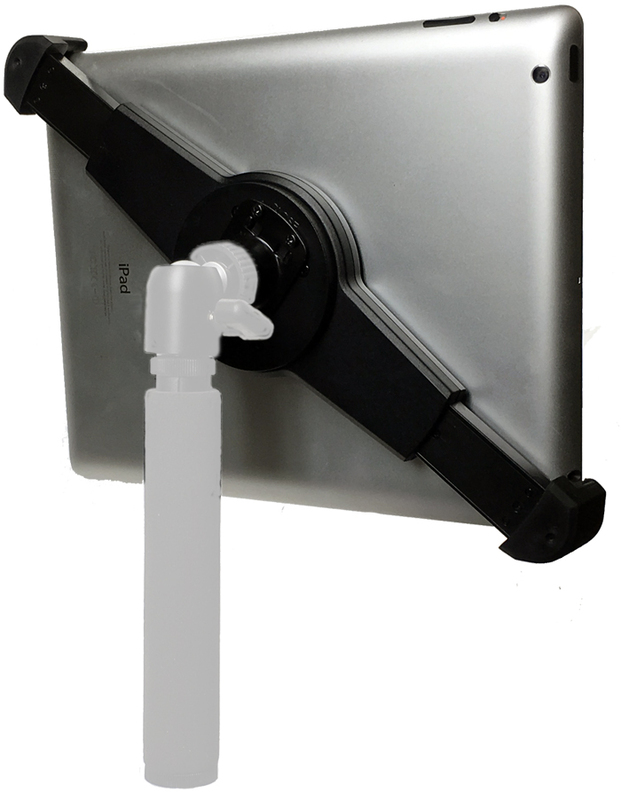 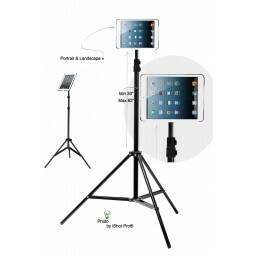 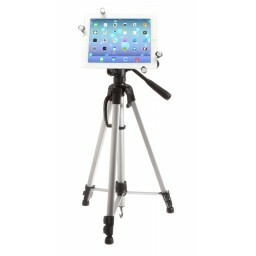 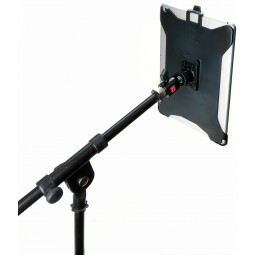 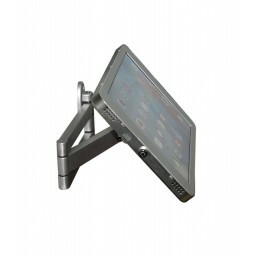 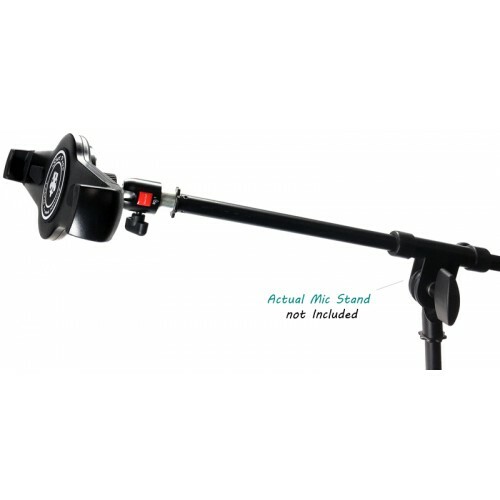 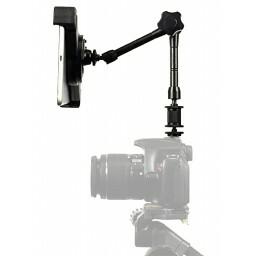 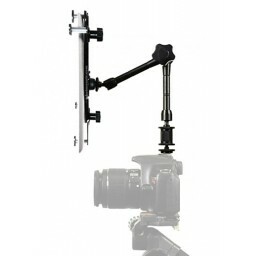 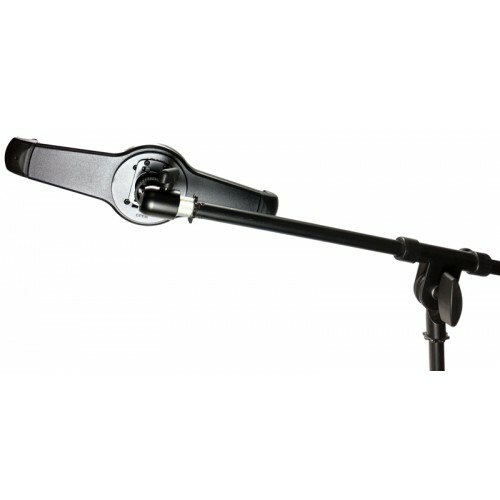 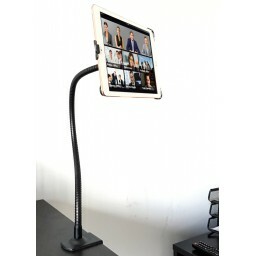 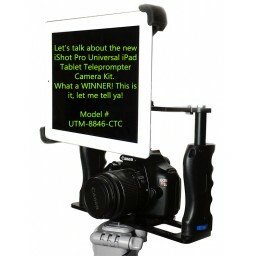 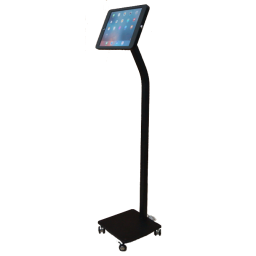 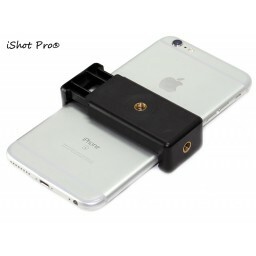 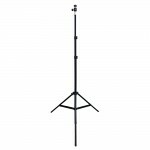 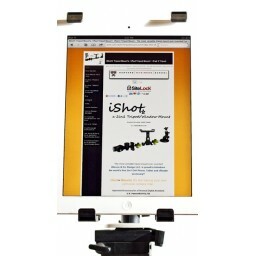 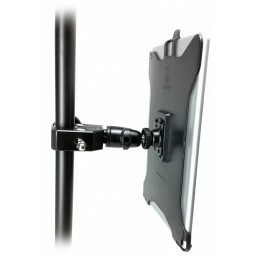 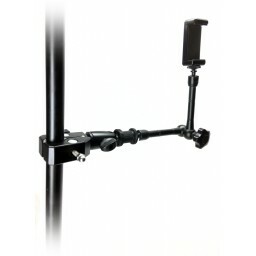 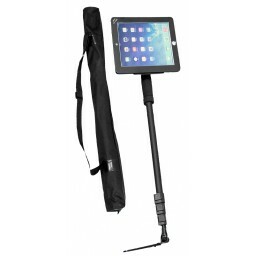 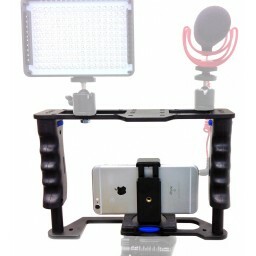 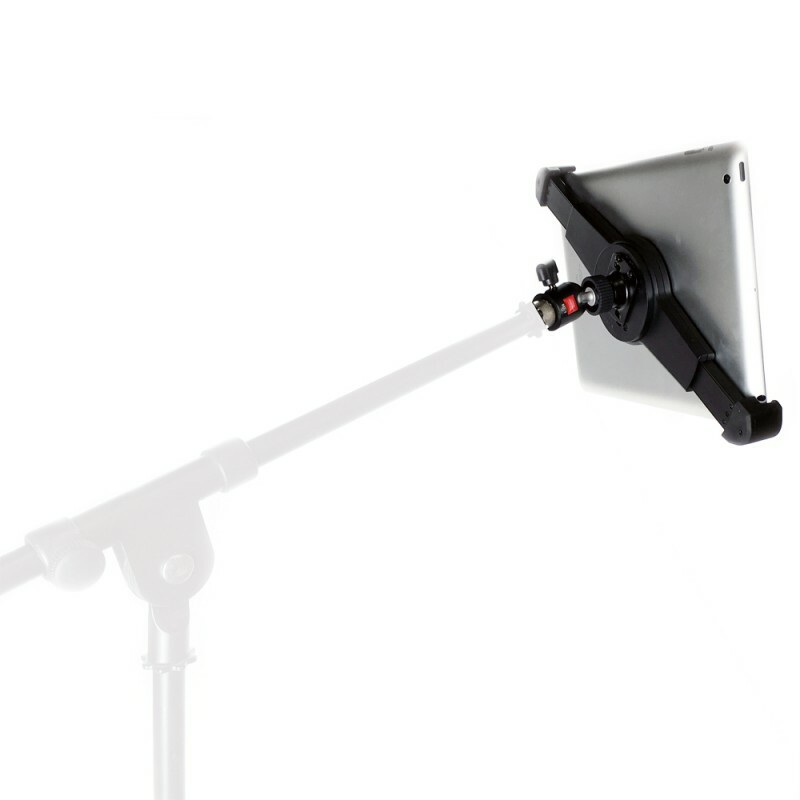 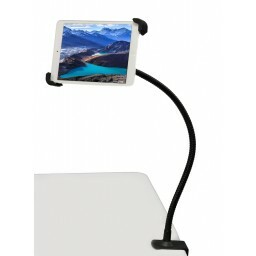 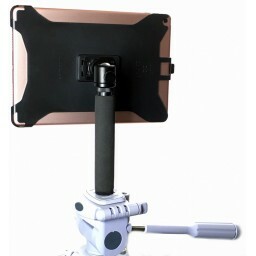 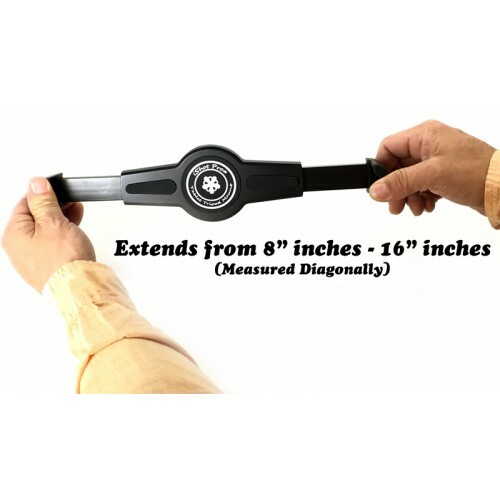 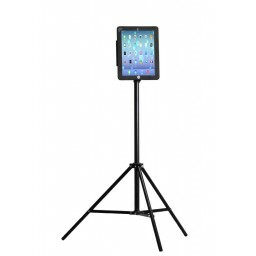 We sell this great product in two sizes: Large for large size tablets 8-13" and Standard for smaller size tablets 7-11"
You provide the Microphone Stand or Music Stand and we provide the iShot G10 Pro Large iPad Universal Tablet Mic Music Stand Mount! Finally and easy to use iPad Pro 12 inch clasp, it's too simple, I love it. 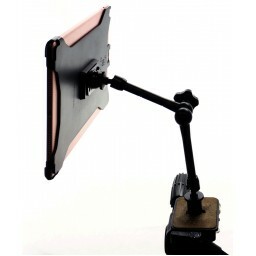 It grips well But probably wouldn't work with a very thick cover on the iPad I'd say you can get away with a half an inch I'm just guessing I've used mine without a cover but I'm getting an Apple silicone back cover and I believe it will still work as I can see there's a fair amount of space left on each side , this one is the best so far, I had another one that just had too many moving parts in the screw would fall out and I have to hunt for it and it was a reputable name but I like this one better! 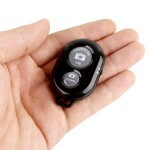 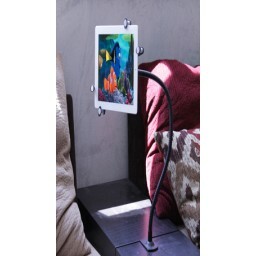 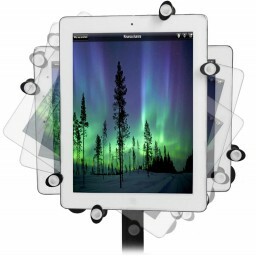 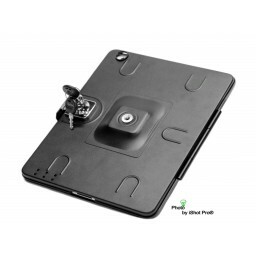 Very secure mount for I-pad pro.